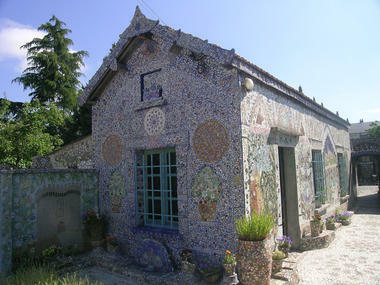 Broken pieces of crockery form an extraordinary example of naive art: the Maison Picassiette. 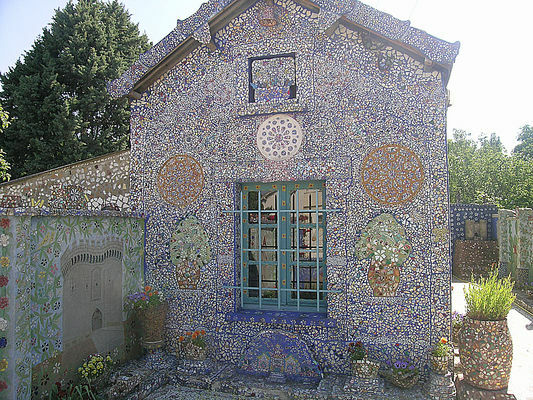 Between a total work of art and decoration, the artist's imagination extends to every available space: walls, floors, ceilings, courtyards, gardens etc. 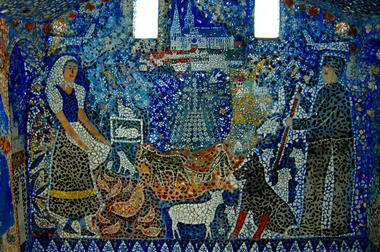 An extraordinary example of naive art. 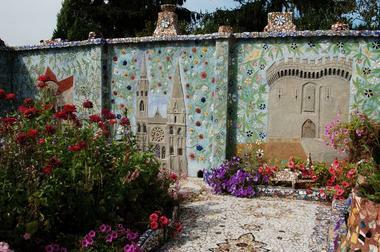 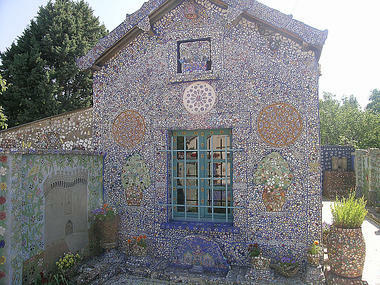 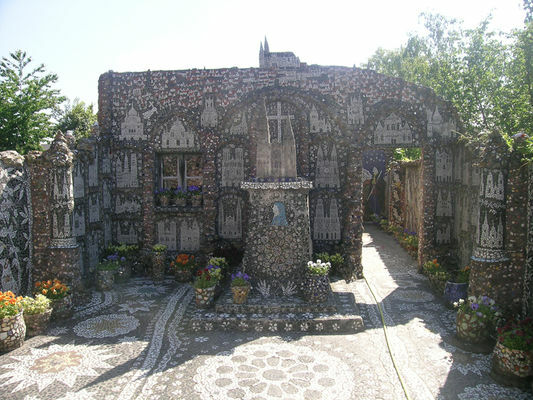 This house was entirely decorated - inside and out - by its owner, Raymond Isidore, with mosaics formed using broken pieces of crockery. Dimanche après midi Lundi Mercredi Jeudi Vendredi Samedi * Broken pieces of crockery form an extraordinary example of naive art: the Maison Picassiette. 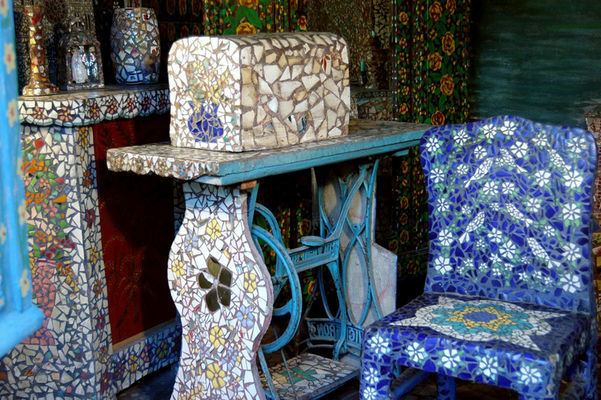 Between a total work of art and decoration, the artist's imagination extends to every available space: walls, floors, ceilings, courtyards, gardens etc.